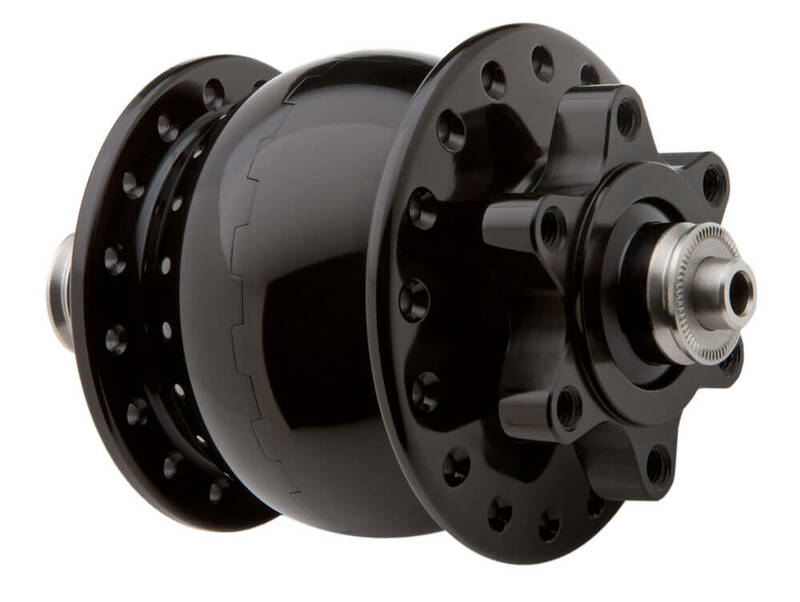 SON28 hubs provide a high quality, low drag dynamo hub that powers your lights or USB devices as you ride. SL models make dynamo lighting even more convenient, eliminating the need for wiring with an electrical connection maintained directly through the fork dropouts. They are only compatible with specially-built SL forks. This version has mounts for 6-bolt ISO disc brakes.